Experience all new intuitive and fun creative tools. New Creative Tools – Create A Sim and Build are more powerful, intuitive, and fun than ever before. You have the freedom to sculpt Sims with tactile precision. 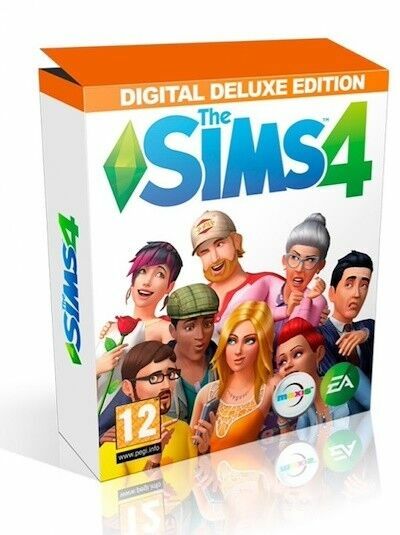 item 1 The Sims 4 (PC/Mac) Full Online Game "Quick Dispatch" -The Sims 4 (PC/Mac) Full Online Game "Quick Dispatch"
The Electronic Arts Sims 4 Video Game for PC systems provides gamers with hours of fun and new experiences to explore. Based on its content, this video game belongs to the simulation genre. It is suitable for kids aged 12 and up. DEFINITELY GET THIS GAME! OMG!! Yasssss! The price is..OMG!! I actually can't believe this retails at £50 but got it for WAYYYYY cheaper! I ordered it yesterday and the origin account got emailed to me today! So I didn't need to wait for weeks! Get it!! I really recommend it! The quality is amazing! I still can't believe it! Everything was working! It's awesome!! The game , Account and intruction. been playing Sims 3 and Sims 4 gives more control over characters, in creating appearance and skills, improved home furnishings and building homes and entertainment. Whilst the basic program is fine, the game play needs lots of extensions and upgrades to make it challenging which means purchasing them so a game that started at 37 pounds becomes a couple of hundred. So far not convinced it is better than Sims 3, but maybe I need a few more extensions? good graphics, easy to use.